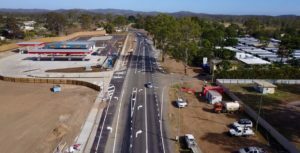 Hutchinson Builders recently engaged True Water for the design and delivery of an onsite commercial treatment plant for the new Benaraby Caltex Service Centre. The Service Centre which is located on the Bruce Highway includes several commercial tenancies and potential future expansion. During the planning stage, a number of factors were considered in order to ensure maximum yield for the developer. The system must be aesthetically pleasing and have a small footprint while mitigating or eliminating risks which include potential flooding and seasonal groundwater. 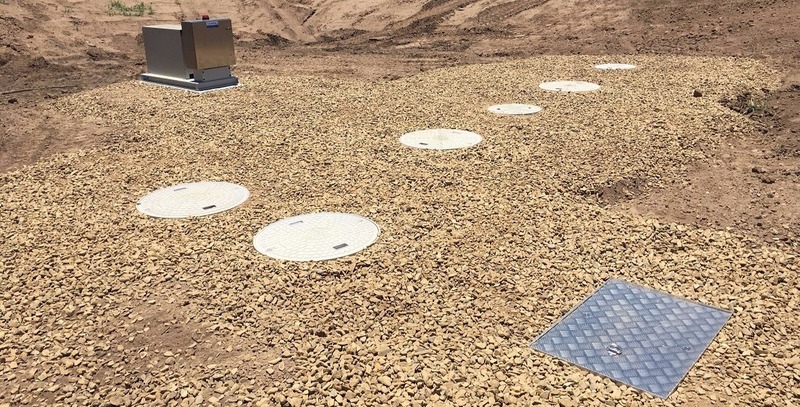 True Water achieved this through the use of a specialised discharge system providing the smallest footprint of any discharge method whilst removing the impacts of wet weather. The Kubota sewage treatment plant is completely below ground and has the smallest footprint of any STP available in Australia. With no odour, no noise and low operational costs, the Benaraby Service Centre is serviced by the highest quality option available. 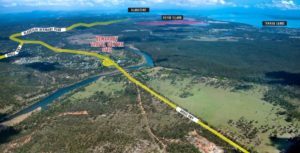 Future commercial tenancies are planned for the development, therefore the Kubota HC-Z has been designed to allow for future increases in capacity as the development grows. Other Kubota HC-Z advantages include; treating wastewater to a high level due to its reliable biological processing and managing highly variable and fluctuating flows.